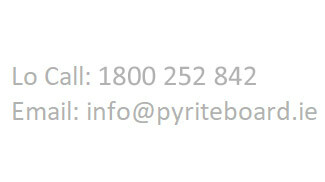 The PRB are committed to providing an excellent service to our various customers. Our aim is to be a customer focused organisation and to courteous, helpful and timely in deal with queries and requests. Our Customer Charter below provides information about the standards we aim for in providing our services. Our Customer Charter sets out our commitments to our customers. To deliver a high quality, effective and efficient service. Strategic objectives include processing and determination of applications within a reasonable time period, having regard to the complexities that each case will present; timely delivery of the remediation programme. To endeavour to deliver quality services with courtesy, sensitivity and minimum delay, fostering a climate of mutual respect between the customer and the organisation. You can help us by also being respectful and courteous in your dealings with staff. To commit to deliver a scheme which is clear and transparent. The aim is to give full and accurate information in a manner that suits you. To remediate the damage caused by pyritic heave to an acceptable standard with minimum disruption to the occupants. To establish an appeals process for determination of appeals in a fair, transparent and timely manner. To endeavor to maintain an open, accessible, and responsive system of dealing with complaints and to facilitate comments and suggestions from customers on the quality of service provided. complaints regarding Data Protection can be referred to the Data Protection Commissioner. • a contact phone number if possible. Customers are asked to provide as much information as possible to help speed up the investigation of their complaint. The complaint will be directed to an appropriate member of staff for careful examination. This person will not have been directly involved in the original action which gave rise to the complaint. In general, we will investigate and address complaints within a reasonable timeframe. We aim to acknowledge your complaint within 7 working days of receipt and to deal with your complaint within 14 working days of receipt. If your complaint requires further investigation, we will let you know and keep you informed of progress. If the complainant is not satisfied with the outcome or handling of a complaint, the complainant may request in writing that the matter be escalated internally to the General Manager. Having exhausted our complaints procedure, set out above, if you are not satisfied you may refer the complaint to Office of the Ombudsman. By law the Ombudsman can investigate complaints about any of our administrative actions or procedures as well as delays or inaction in your dealings with us. The Ombudsman provides an impartial, independent and free dispute resolution service.